Another year and for a change I am hopeful. So much has changed in my life over the last few years, but I finally think I am in a good place. In fact, the hopelessness I felt a few years ago is completely gone. This is what I am most thankful for as the New Year dawns. It's because of the warm fuzzies and peace I feel that I bring you my resolutions, goals that are drastically different than any from years gone by. I am going to smile! Even though I have six teeth left in my mouth, I have so much to smile about! The teeth issues that were causing such pain and stealing away my health are long gone. Friends near and far came together to help with this, saving me and drastically changing the quality of my life. This is an amazing thing! I am so blessed and thankful to all who were supportive during this journey. This year is going to all about love, kindness, and thankfulness too. Love, love, love... love is you need. Sorry, I got distracted. Anyway, love is a big deal. It saves lives, mends hearts, changes the world. The words I love you have weight, something I think many forget. If you love someone, let them know. Be kind, for there is no reason not to. Another lesson I learned over the last year was kindness and a positive attitude even during the worst of times is a game changer. It's not always easy, but for me it's a gift I give myself. Be thankful. Count your blessings. Spread joy. 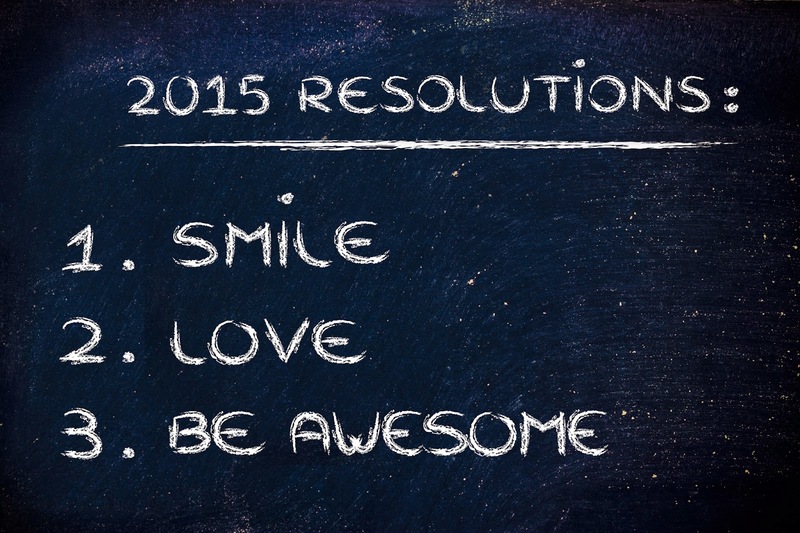 These are things I aspire to in 2015. Be awesome! Who doesn't want to be awesome? It's been a long time since I've felt awesome, but that's changing. I want to be an awesome mom, daughter, sister, granddaughter, family member however, friend, and student. Yes, this 36 year old mama is a college freshman! I spent many years thinking I couldn't accomplish my dreams, but now I know better! I am going to be awesome! I guess positivity is my theme this yeatr and as you can probably tell, I am excited! Come on 2015, good things are coming!